1st Place $100 Winning Photo – Thomas Merritt of Eastern North Carolina. Final product of our Lava Flow in Carolina Beach Art Gallery, NC! First, we prepped the concrete and then applied not one, but two coats of 4195 Direct to Concrete Whisper Grey. We then applied a mixture of Black Olive and Sterling Silver Lava Flow® and topped with our low odor high gloss polyaspartic. Our customers could not believe the transformation for their new art gallery! 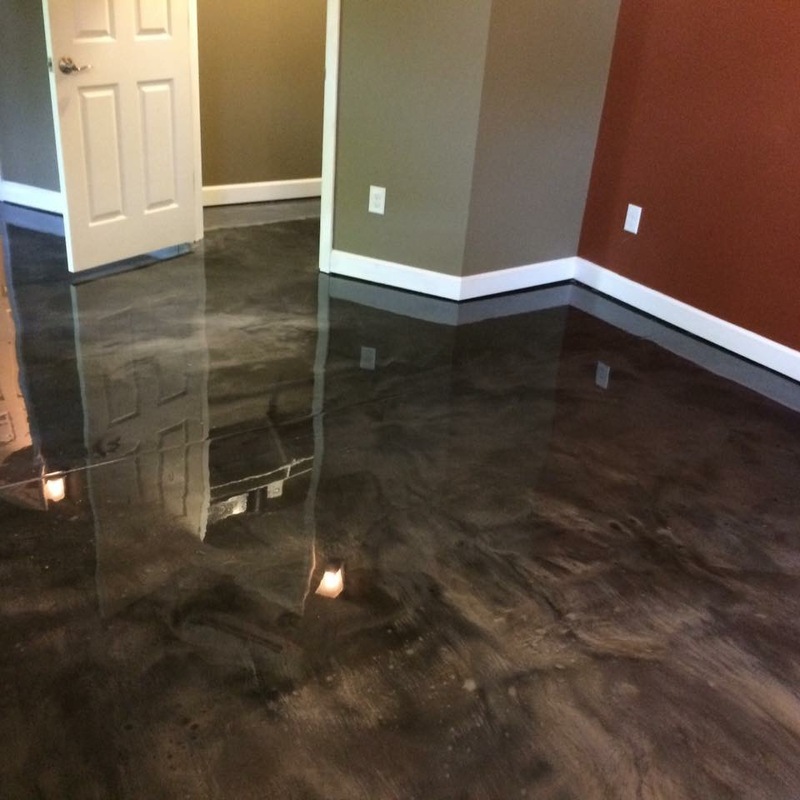 This is another concrete transformation by Thomas Merritt of Eastern NC.